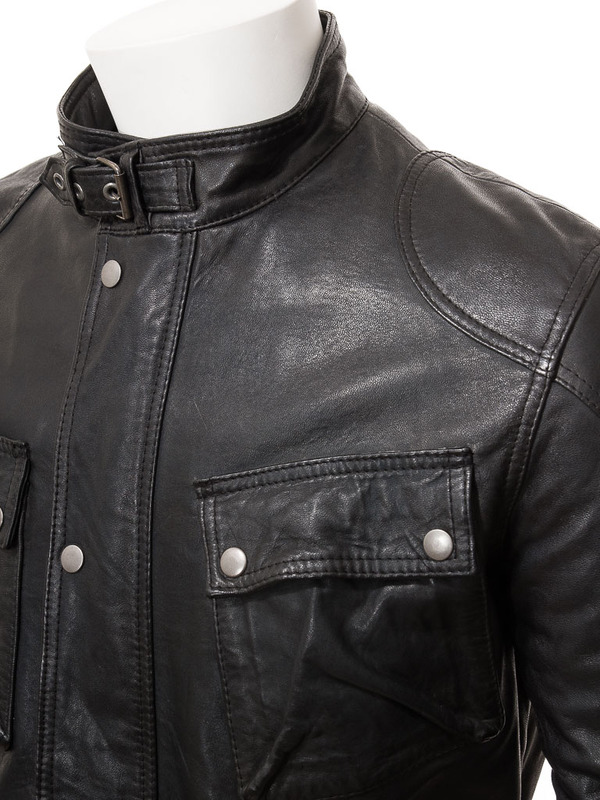 The absolute classic, vintage style black leather biker jacket. 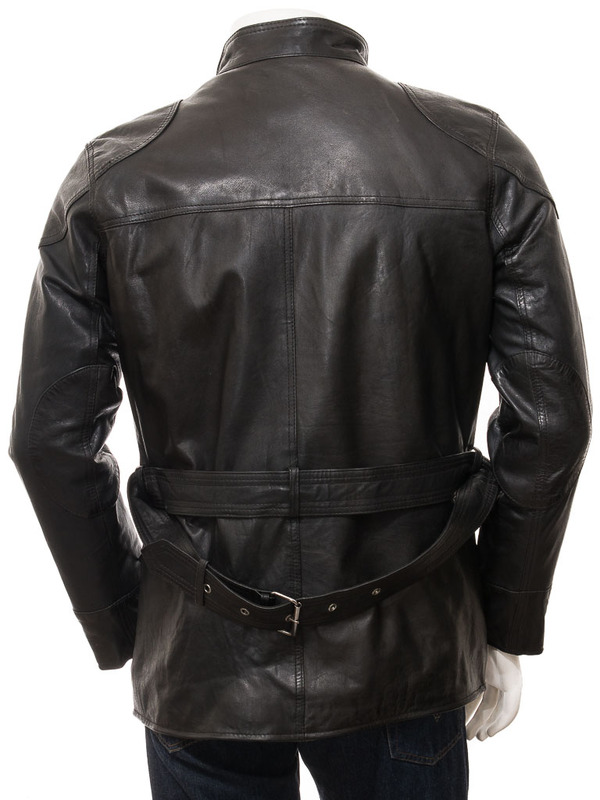 Way before Marlon Brando and his asymmetric short biker there was this, the longer length belted stand collar version. 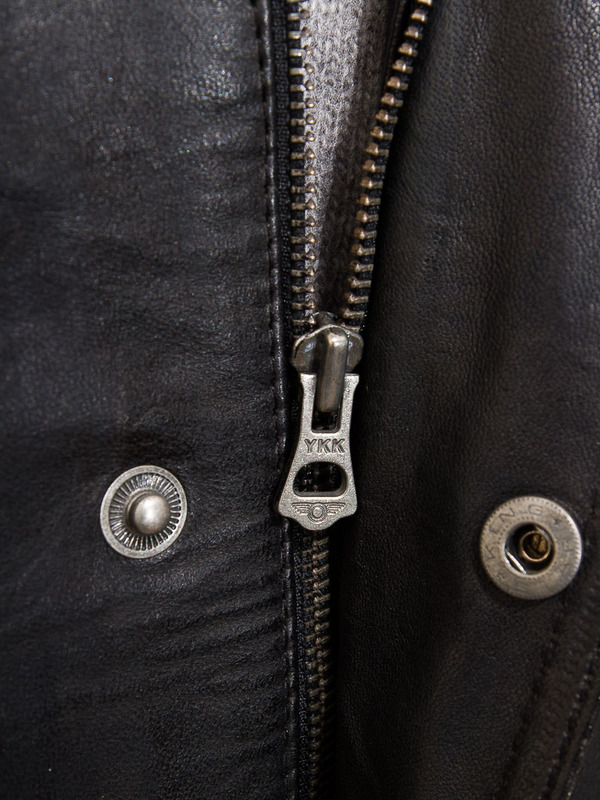 Ours is crafted from a soft and supple sheep nappa leather and sports a YKK centre zip under a press stud fastened fly front. A short stand collar is fastened with a buckled strap and there are patches at the shoulder and elbows. The four flap pockets on the body are bellowed to stand proud so that they can carry more stuff. As is traditional with this style of international jacket, a removable belt allows the waist to be cinched in. Essential for maintaining clean lines and body heat. 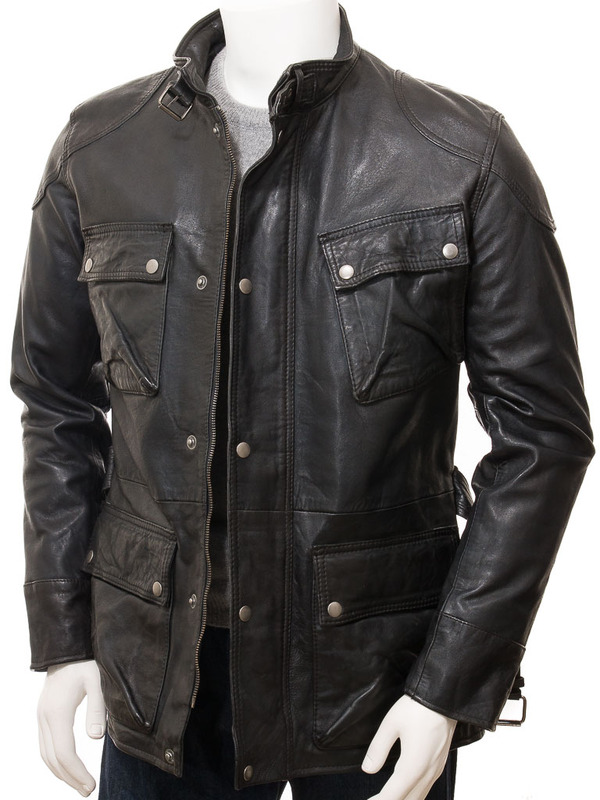 Take a look inside and you will find the jacket fully lined in poplin and two more leather trimmed pockets. One of these is zipped for additional security.